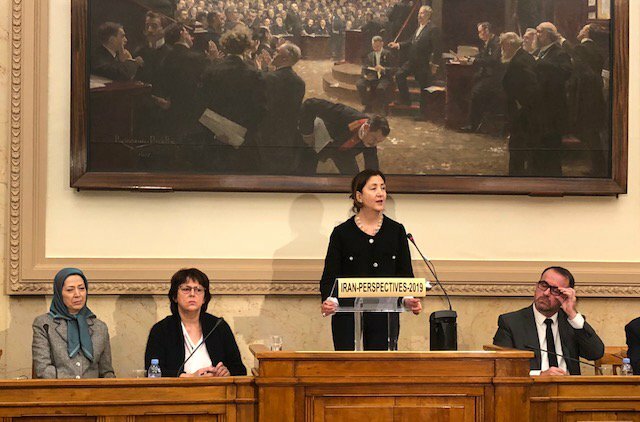 During a recent conference in the French Parliament, Ingrid Betancourt, a Colombian-French politician and supporter of the Iranian opposition movement, addressed French MPs on the threat the regime poses. Ms. Betancourt reminded that the Iranian regime has run roughshod over the basic human rights of the Iranian people. Pro-democracy activists in Iran, gender equality activists, trade unionists, ethnic minorities, Christians, and women, amongst others, are frequently repressed, arrested, and executed without fair trial and due process. The Iranian people have endured four decades of the clerical regime’s blatant and violent human rights abuses. 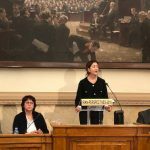 Nobody has been on the receiving end of these abuses more than the People’s Mujahedin Organisation of Iran (MEK), the largest and most active opposition group, Ms. Betancourt emphasized. Ms. Betancourt, the former candidate for Colombia’s presidential campaign, outlined that the MEK has been a thorn in the side of the clerical regime since day one. Resistance units operate across Iran’s cities, organizing protests and opposing the mullahs’ violent tyranny wherever it occurs. In response, the mullahs have launched a series of bloody crackdowns on the opposition group. In the summer of 1988, the Iranian regime rounded up and executed more than 30,000 MEK members in what amounted to one of the largest crimes against humanity of the twentieth century. Most recently, the regime launched a state-sponsored terror campaign against the MEK. It plotted a series of violent attacks on MEK members living in Albania. Then it plotted to bomb the group’s annual Grand Gathering event in France. Shortly afterward, two regime agents were arrested in the United States for carrying out reconnaissance activities against MEK members in the US ahead of a planned terror attack. Ms. Betancourt pointed out that the regime has not limited its fight against the MEK to physical attacks. It uses international media outlets to spout lies and disinformation against the MEK and the Iranian opposition and turn public opinion against pro-democracy groups. Why Devote Time and Resources? The regime frequently insists that the MEK is a small and unpopular organization and that it has limited support among the wider Iranian population. But if that were the case, why would the regime devote such resources to attacking the group both at home and abroad? The 2018 terror attacks demonstrated that the regime was willing to risk bilateral relations with European nations in order to kill and maim MEK members. Why would the regime go to such lengths over an insignificant organization? The reality is that the MEK poses a significant existential risk to the regime. Its ranks swell by the day. The MEK-organised protest movement is expanding, and each time the group and its supporters take to the streets, the calls for regime change get louder. There have been signs that the regime is growing uneasy. Privately, many of the regime’s leadership have made comments expressing concern, and the Supreme Leader himself blamed the group for the nationwide protests that took place across Iran in early 2018. “Maryam Rajavi (the president-elect of the MEK) is there to replace them,” she concluded.